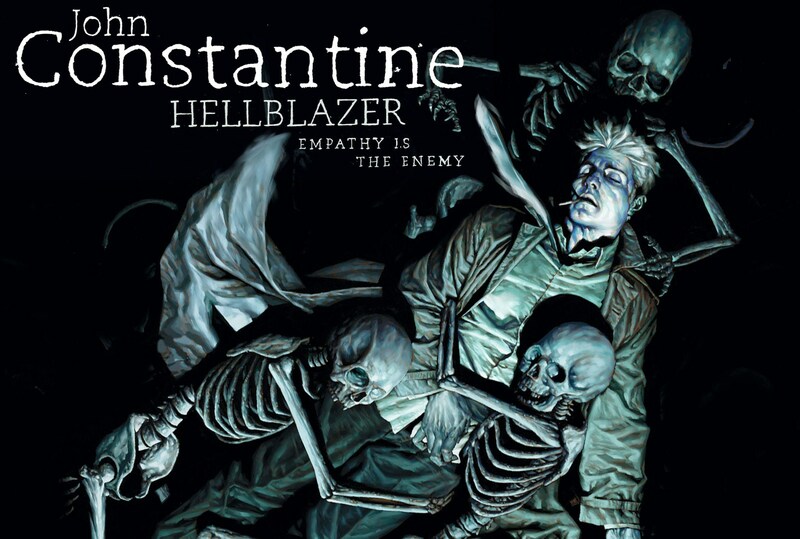 ‘Constantine’ Will Now Be A Series!!! Warner Bros. and DC Comics have teamed up yet again. This time it’s for a television show based on the comic book ‘Constantine‘. If you remember, a few years ago, Keanu Reeves starred as John Constantine, based on the same book. This particular series will be headed to NBC with David S. Goyer and Daniel Cerone serving as writer and producer. If you’re unfamiliar still with the Constantine universe, the story centers on a man named John Constantine, a supernatural detective who performs ghost and demon extractions, exorcisms, and even travels to hell and back. He basically protects the human race from dark and evil forces, even the devil. Constantine first apperared in the mid-80s as a character in Alan Moore’s ‘The Saga of the Swamp Thing‘. And let it also be known that Constantine is rumored to play big role in the upcoming ‘Justice League Dark‘ feature, which has Guillermo Del Toro sitting in the director’s chair. With ‘The Flash‘, ‘Green Arrow‘, and now Constantine, I’m waiting for a Batman live-action series again. This entry was posted on Thursday, September 26th, 2013 at 9:23 pm	and is filed under Comics, News, Television. You can follow any responses to this entry through the RSS 2.0 feed. You can skip to the end and leave a response. Pinging is currently not allowed. It's called evasive driving, sweetheart!